No action will be taken against Ambati Rayudu. Ambati Rayudu and Rishabh Pant named as stand bu for the ICC Cricket World Cup 2019. 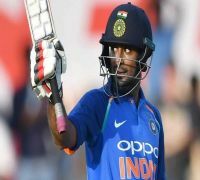 The sarcasm in Ambati Rayudu spelling out his World Cup plans after a much-debated selection snub isn't lost on the BCCI but the governing body Wednesday said it has no plans of sanctioning the batsman. The Hyderabadi, who was ignored in favor of all-rounder Vijay Shankar, Tuesday created a frenzy by tweeting that he plans to buy 3D glasses to watch the showpiece which begins May 30 in England and Wales and the host England take on South Africa at Oval, London. 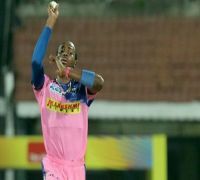 The 3D reference came a day after chairman of selectors MSK Prasad cited Shankar's "three-dimensional qualities" to justify his selection. The BCCI brass has taken a note but since it wasn't a direct criticism of the selection policy, the parent body wants to let it go. "We have taken note of what Rayudu has tweeted. (But) Let's accept that emotions are running high at this moment. There is bound to be a disappointment and there needs to be an outlet of expression as long as it's not out of line," a senior BCCI official told PTI on Wednesday. "He will need some time to soak in the disappointment and it's understandable. There is no need for sanctions. Also, he is one of our standbys. If any injury happens there is every chance, he would go," the official said. Rayudu missed out on World Cup berth after three failures against Australia at home last month. Rayudu's tweet has got more than 76,000 likes and 12,000 retweets so far. The current selection committee has been largely consistent with its policies but there have been instances in which some players have expressed their disappointment at being snubbed. Karun Nair had spoken about lack of communication after being dropped for the home series against the West Indies have not played a Test in England. Even Murali Vijay was reportedly unhappy at being dropped in the middle of the England series with rookie Prithvi Shaw coming in.